Good news! 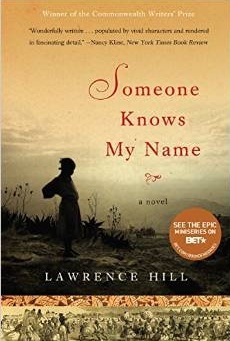 The compelling 2007 novel, Someone Knows My Name by Canadian author Lawrence Hill—released in Canada under the title, The Book of Negroes—has been adapted for American TV and will air next month as a miniseries on BET. I read the book two years ago. I’m still enthralled by the story Hill wove around his character Aminata Diallo, kidnapped from Africa at age 11 and enslaved in 19th century South Carolina. What unfolds is a splendid mix of history and imagination. I’m willing to bet a fair amount of you are not familiar with Black Entertainment Television (BET)—a parallel universe flourishing in the galaxy of cable and satellite broadcasting— I found it in the 300s on Direct TV. I urge you to find it, too, and watch The Book of Negroes, scheduled to air February 16, 17 & 18. The series is named after The Book of Negroes, an actual document which you can see at the New York Public Library. It is a 150-page ledger compiled by the British navy in 1783 during the Revolutionary War: names of 3,000 enslaved blacks recruited by the British when they were loosing the war and evacuated by ship to Nova Scotia as freedmen. 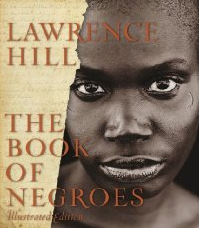 According to Lawrence Hill, it was the first time in the US or Canada that thousands of blacks were formerly documented by a public body. Unlike dehumanizing slave holding documents—which list no names and include columns for blind, deaf, dumb, insane and idiotic—this ledger lists names, ages and physical descriptions. An extremely important American document. Try this “Free TV” on Facebook: https://www.facebook.com/tvfullfree/posts/870429076348647. I’ve never heard of it but just found online. If that doesn’t work you may have to wait and hope it comes out on DVD then check the local library. hope this serie will come on TV in France ????? Thakks to share this new srie . We have so many experiences to tell that make visible the depth of the diversity of our story. Thank you for exposing me to this one. I had no idea about the existence of the Book of Negroes. « Post Card from THE BIG EASY!